Directed by David Koepp. 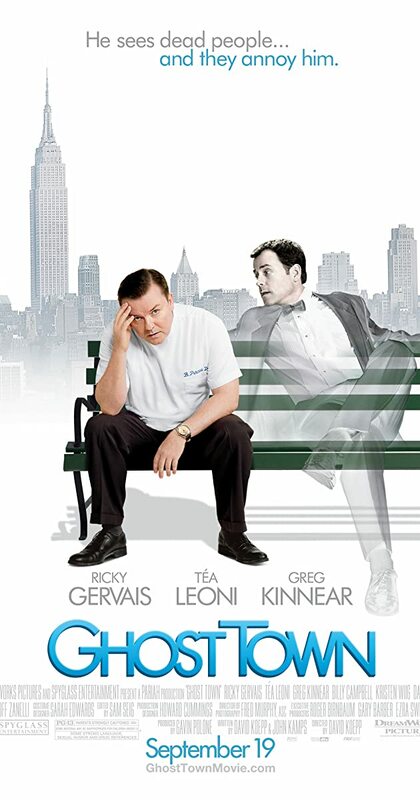 With Ricky Gervais, Greg Kinnear, Téa Leoni, Jordan Carlos. Bertram Pincus is a man whose people skills leave much to be desired. When Pincus dies unexpectedly, but is miraculously revived after seven minutes, he wakes up to discover that he now has the annoying ability to see ghosts.